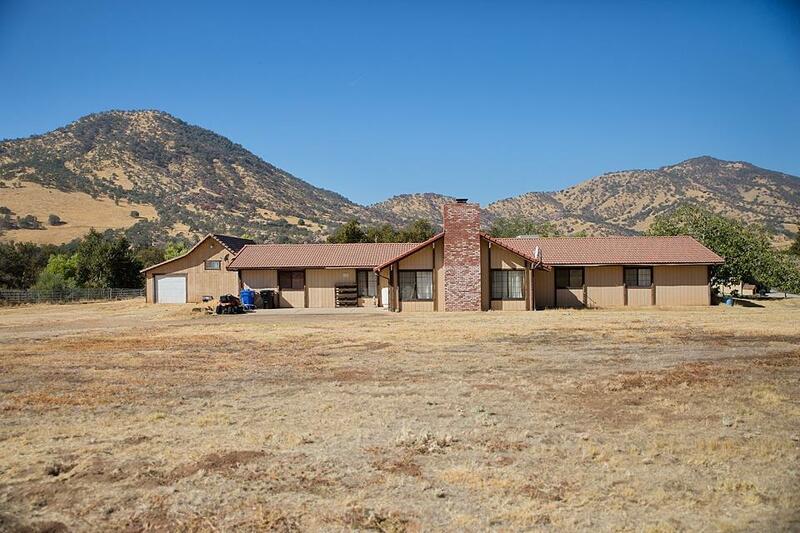 Great 3 bedroom 3 bath Wonder Valley Ranchos home. 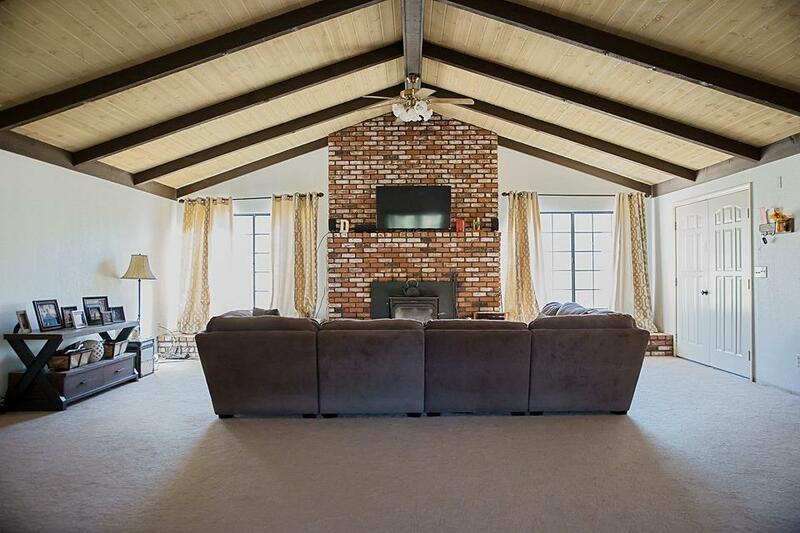 Large open floor plan with vaulted wood beam ceiling. Large brick fireplace with wood burning insert. 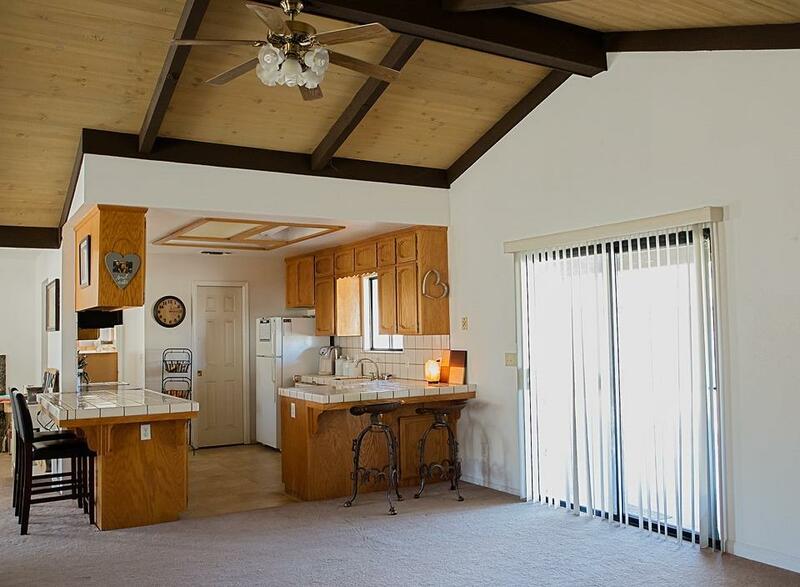 Kitchen has newer appliances, breakfast bar, and large pantry. Separate formal dinning area with a built in bar. Additional bonus room with large glass sliders that go out to the fully covered patio. 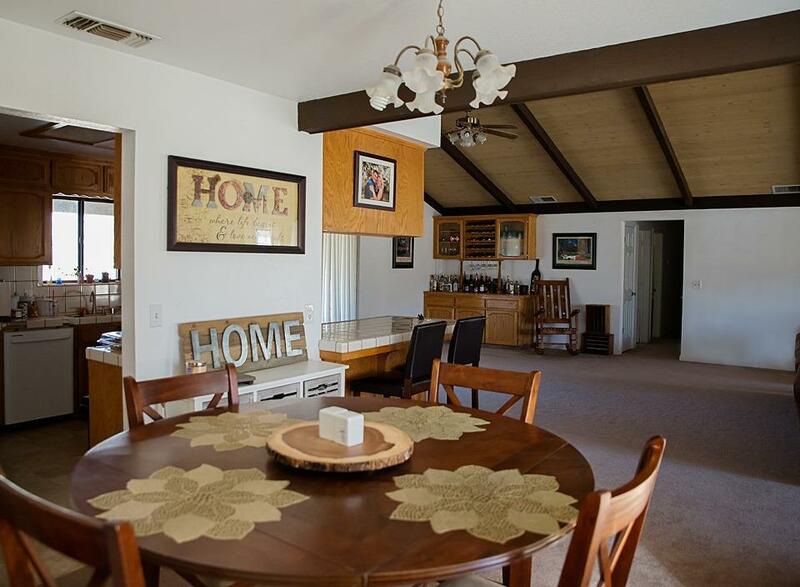 This home features a lifetime tile roof, OWNED SOLAR, and water softner. Spectacular views and seasonal creek access right out your back door. Property is fully fenced with two separate access gates. 40X40 Shop with RV roll up door & 2 garage doors. Shop has its own full bathroom and hot water heater. Horses are welcome and there are bridle paths through out the community. Listing provided courtesy of Dena Amador of California Property.